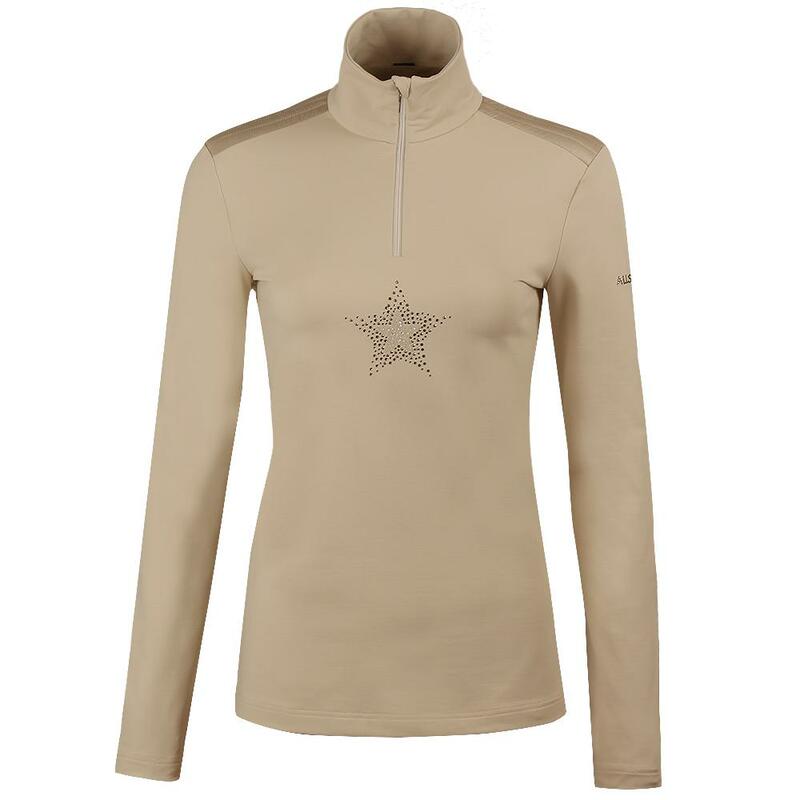 Add a little sparkle to your ski ensemble with the Allsport Carmen ½-Zip Turtleneck Mid-Layer. This soft and cozy base layer is made from 4-way stretch jersey that’s super comfortable and quick drying, making it an excellent choice for travel. The extra long zipper makes getting the Carmen on and off easy and hassle free and the regular fit is flattering and perfect for layering. Layer this versatile piece under jackets and vests or wear it on its own during cool weather activity. Either way, the genuine Swarovski crystal star detail will bring a bit of bling to your day. "How do you determine the size of these shirts? Would 34 be a small? Would 36 be a medium?" "The Allsport Carmen Half Zip Turtleneck Mid-Layer sizes are: 34 (XXS) 36 (XS), 38 (S), 40 (M), 42 (L) and 44 (XL). Hope this information helps!" High-end style with quality to match. Very pleased.